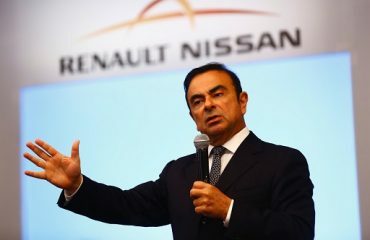 Japan’s Nissan Motor and France’s Renault stated they would retool the world’s top automaking alliance to put themselves on more equal footing, breaking up the all-powerful chairmanship earlier wielded by ousted boss Carlos Ghosn. The ouster of Ghosn, credited for rescuing Nissan from near-bankruptcy in 1999, had resulted in much uncertainty about the future of the alliance and some speculation the partnership could even unravel. The companies, together with Mitsubishi Motors, on Tuesday stated the chairman of Renault would serve as the leader of the alliance but – in a critical sign of the retooling – not as chairman of Nissan. Nissan has stated that Ghosn wielded too much power, creating an absense of oversight and corporate governance. It was unclear who would become Nissan’s chairman, vacant since Ghosn was arrested in Japan in November. But the automakers gave no sign of any immediate change in their cross-shareholding agreement, one that has given smaller Renault SA more sway over Nissan. The so-called Restated Alliance Master Agreement that has bound them together so far is intact, they stated. “We are fostering a new start of the alliance. There is nothing to do with the shareholdings and the cross-shareholdings that are still there and still in place,” stated Jean-Dominique Senard, Renault Chairman, at a news conference. “Our future lies in the efficiency of this alliance,” he informed reporters at Nissan’s headquarters in Yokohama. Senard also stated he would not seek to be chairman of Nissan, but he was rather a “natural candidate” to be vice-chairman.